Below is the JS function to verify connectivity to the Internet. 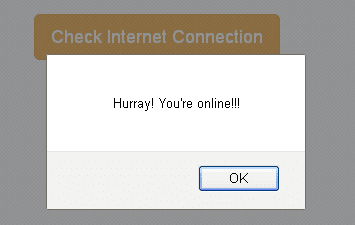 Call the chkInternetStatus() function on button click and it will return the network status. There is an even better method to check internet. You can use the setInterval() function to find the status of the network automatically at a certain time interval. Therefore, as soon as the network gets disconnected, the user will be notified immediately. Using the above methods you can check internet connection from the client side. Now let's see how to do it on the server side. 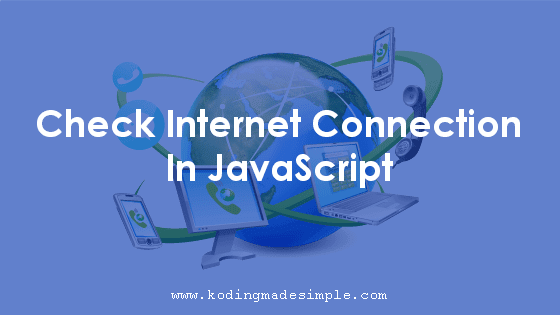 To check the internet connectivity in PHP, you can establish some socket connection and know the network status. If you are able to access specific web resource, it means you are connected to internet and not otherwise. Here is the php snippet to detect if internet is working or not. In the above code, we used a fsockopen() function. This initiates a socket connection to the given host (here it is 'google.com') and returns true if the server is reachable and false if it cannot.